KDI Elements, a Palm Springs-based company that designs, manufactures and installs countertops, showers and flooring, is opening a branch in Honolulu. The company said it has secured a long-term lease in the 20,000 square foot former Dal-Tile building at 590-E Paiea St. near Honolulu International Airport. 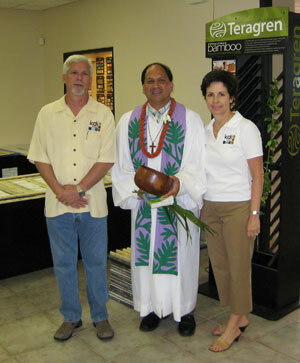 Kahu Kordell Kekoa from Kamehameha Schools will perform a traditional Hawaiian blessing Thursday. The facility will feature a state-of-the-art stone fabrication facility and design center where KDI will offer materials to builders, developers, designers and architects. KDI Elements is a full service installation company that recently completed the stone, wood flooring and carpet renovations at the Ritz Carlton Kapalua on Maui.